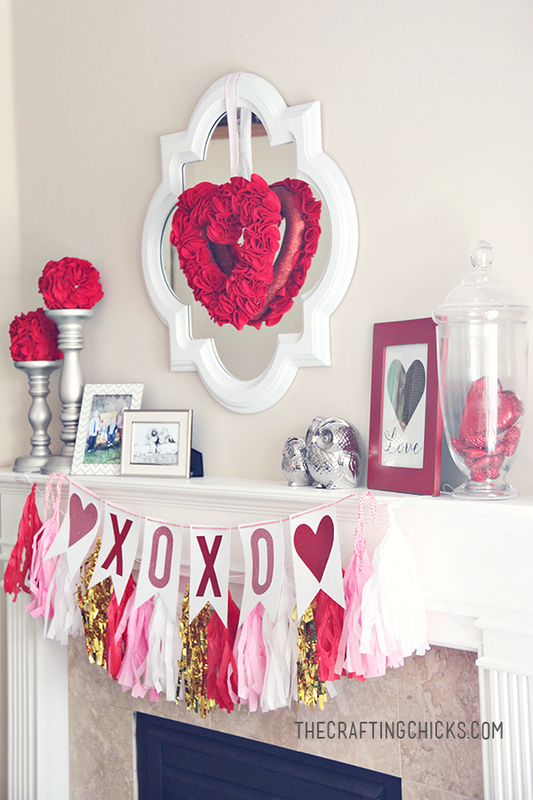 Sharing lovely inspiration today for Valentine’s Day Mantle Decor Ideas. 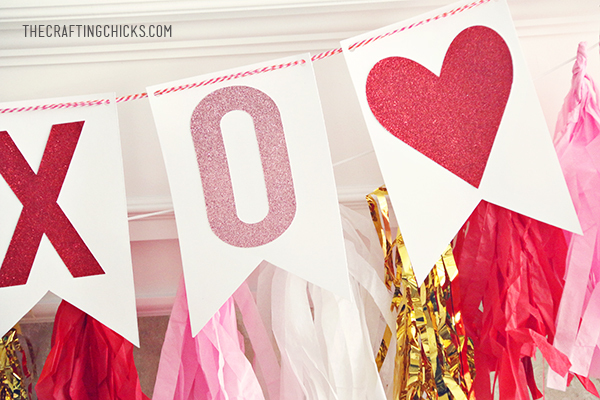 I love Valentine’s day…and my kids love it when we decorate. I made this heart felt wreath a few years ago! I love the tutorial on the Idea Room. Amy is a craft genius! It was therapeutic to make…and I love all crafts with felt, easy to cut! 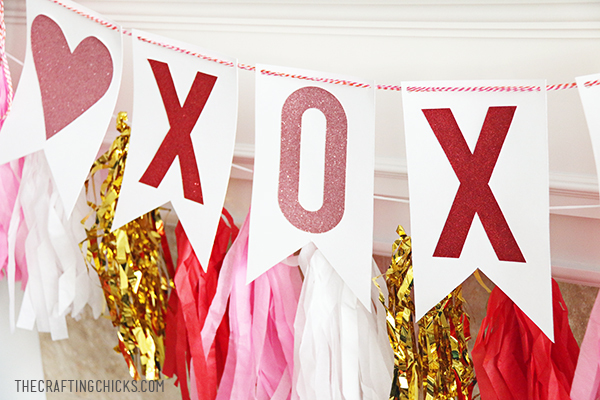 I found this sparkly tassel garland on Oriental Trading…and I made an XOXO banner to go on top with my Cricut Explore. I found sparkle paper from the Target One Spot to use for the banner letters. I don’t discriminate against cute! 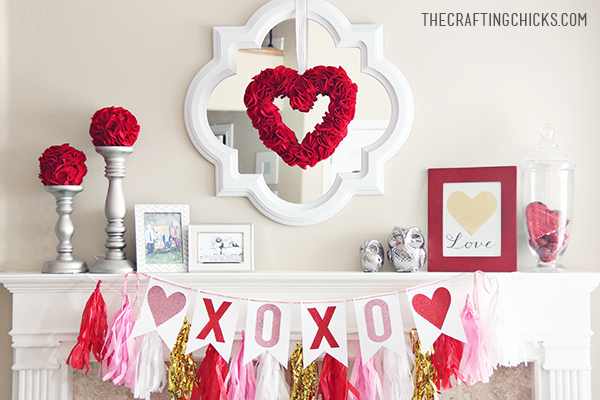 Where do you look for Valentine mantle inspiration? 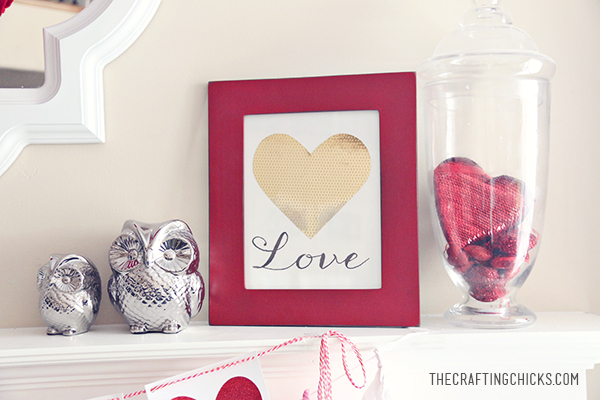 Next…I added a gold foil heart into a red picture frame…And, some glitter & sequined hearts in a jar! 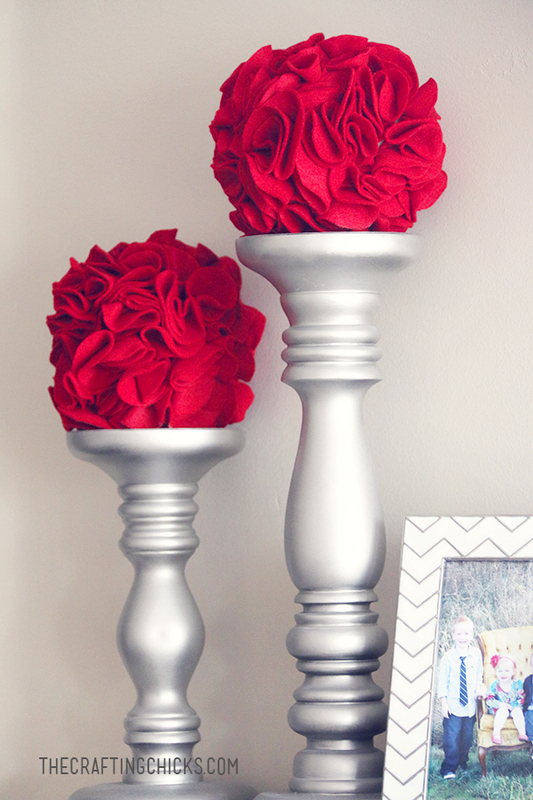 I made little red felt poms to add to the top of my silver candlesticks. Love the pops of read hearts! Happy Month of Love! I love every.single.thing. about this mantel! The sparkly banner, that gorgeous wreath … just so fun and festive! I love your decor!! 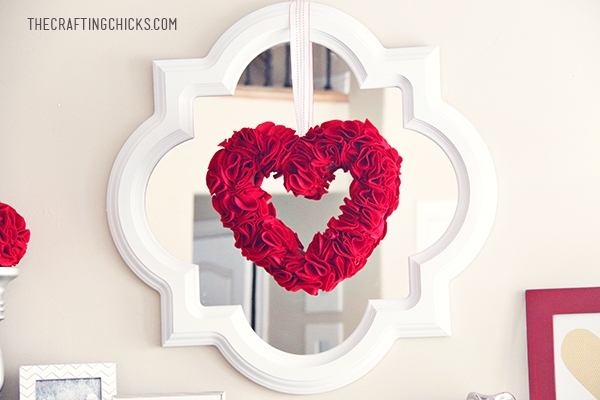 I am totally missing a mirror in my decor for valentines. I bet get on making or buying one!